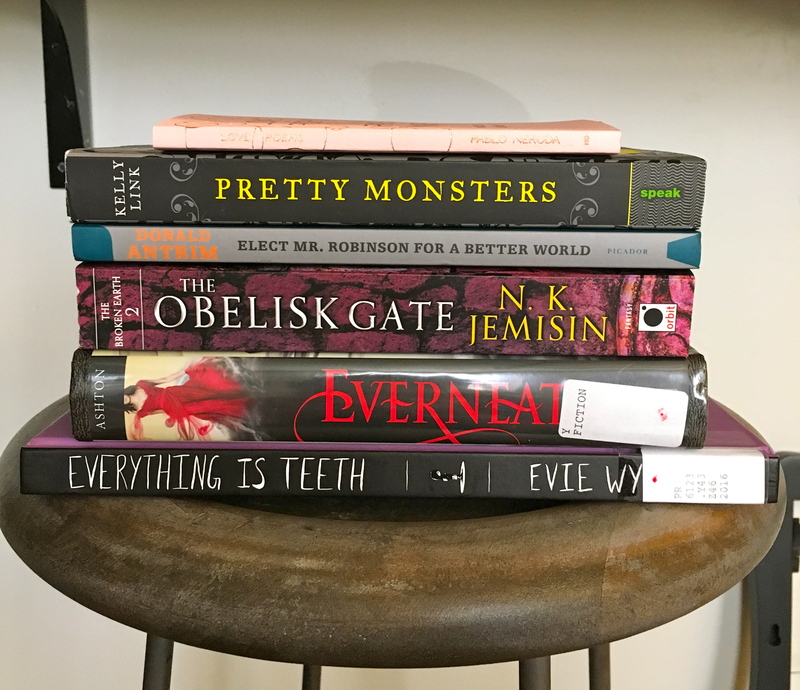 It’s been a minute since I’ve posted a TBR on here! I’ve been giving in to my mood-reading tendencies a lot more lately, so I haven’t been setting as many actual TBRs. The winner, after a lot of voting, turned out to be Circe by Madeline Miller (by a mile). 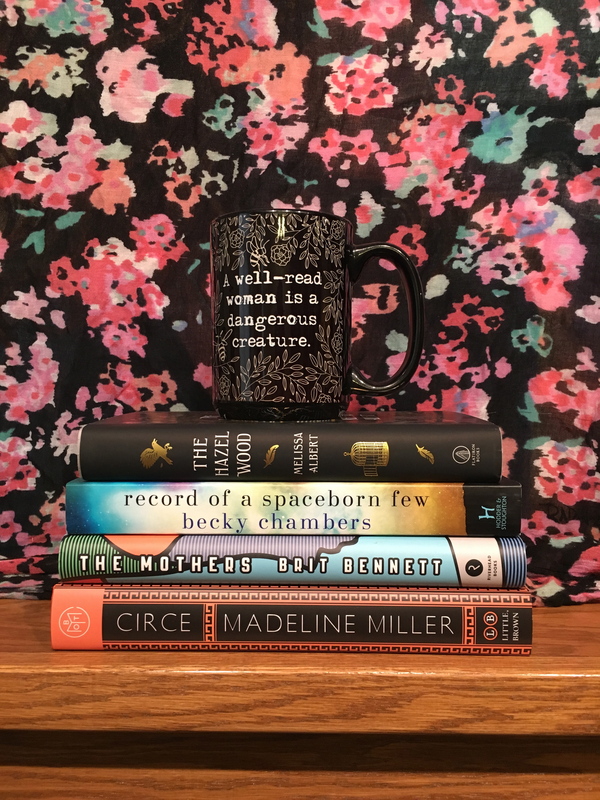 And then there was actually a tie for second place between The Mothers by Brit Bennett and The Hazel Wood by Melissa Albert, so I’ll be picking up those three titles this month. Of course, that’s not all of the books that I’m planning to read this month. I’m going to be participating in one of my favorite readathons, Bout of Books, from August 20-26, and I’ll be posting a separate TBR for that which may or may not include a #MakeMeReadIt book or two, depending on where I’m at with that challenge, but probably also some shorter, quicker reads, which is what I prefer during a readathon. Since I’m now apparently a contemporary romance reader (as of last month), I decided to pick up The Hating Game by Sally Thorne after hearing glowing recommendations from one of my favorite booktubers, ChelseaDollingReads. I wasn’t sure how I felt about it at first, but once I got into the story I started to really enjoy it. I’m about halfway done now and I can totally see what the hype is about. It was recently announced that it will be made into a movie, so I’ll have to check that out when it happens. And I was really struggling to find an audiobook that I was in the right mood for until I tried The Answers by Catherine Lacey. I picked it up on a total whim, but I’m really into it so far; it’s deeply weird and I have no idea where things are going, but that just makes me want to keep reading. 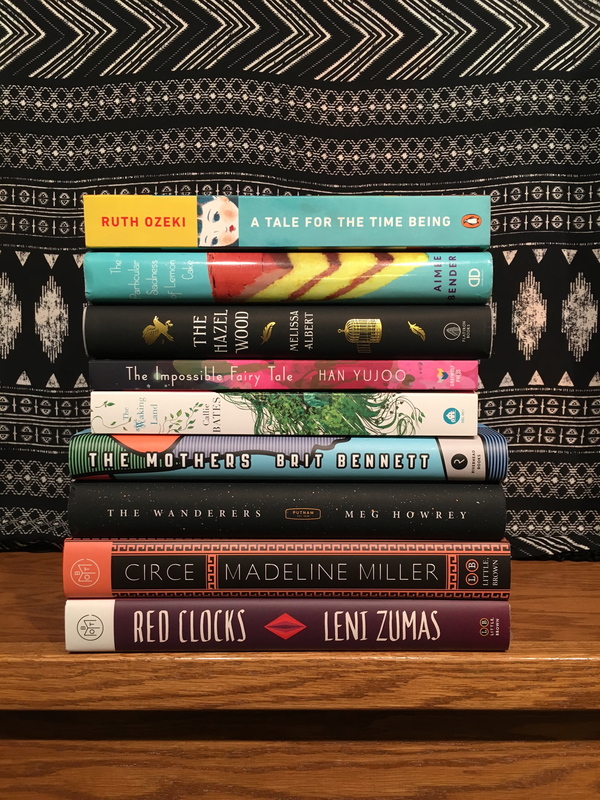 The timing for this round of the Bout of Books readathon is really perfect–it kicks off on January 2nd, so that you can start your reading year strong in 2017. Since it’s a week-long readathon, Bout of Books is less condensed than Dewey’s or 24 in 48, and the past few times I’ve participated it’s worked really well as a reading motivator. In the past I’ve talked about how I prefer to read shorter books and graphic novels during readathons, and I think I’m mostly going to stick to this tradition for this round of Bout of Books. I’ll be out of town during New Years’ Eve weekend, so I’m posting my TBR a bit early so that I don’t forget! Because it’s so early, my TBR could, of course, end up being a total lie depending on my mood and what I read between now and the challenge, but most of these are books I’ve had in mind as good readathon picks for awhile now, so I actually think it’s going to be pretty accurate. So Much for that Winter by Dorthe Nors – this short book is actually two novellas with unconventional formats: the first one is told in lists and the second in headlines. Kissing the Witch by Emma Donoghue – I’m really looking forward to this short story collection of unconventional fairy tale retellings, and the only way I won’t be reading this during Bout of Books is if I get too impatient and pick it up beforehand. Pull Me Under by Kelly Luce – I’ve been hearing that this Book of the Month pick tends to be a really immersive read that is impossible to put down, so that should work well for a readathon. The Stranger by Albert Camus – I’ve been meaning to read this short existentialist novel approximately forever, and this seems like the perfect time. Graphic novel-wise, I’ve picked out a few options that I think might end up being fun, including the second volume of Alex + Ada by Jonathan Luna and Sarah Vaughn, a series focused on artificial intelligence; the first volume of Giant Days by John Allison and Lissa Trieman, which is about a group of girls going away to college for the first time; and Relish by Lucy Knisley, which is a graphic memoir focused on food. 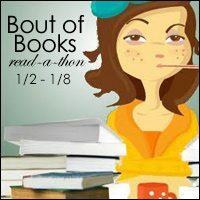 Is anyone else participating in Bout of Books? Let me know! I Finished the 2016 Book Riot Read Harder Challenge! I definitely was cutting things close here by finishing at the end of December; last year I was much more on top of my game. Oddly, the challenge task that I found most difficult was reading a middle-grade novel; I’ve had the rest of the challenge finished for over a month, but I just couldn’t find a middle-grade novel that really interested me. I actually ended up loving my choice (The Girl Who Circumnavigated Fairyland in a Ship of Her Own Making by Catherynne M. Valente) and am really grateful to the Read Harder Challenge for making me pick it up. Other highlights from this challenge for me were Bad Feminist by Roxane Gay (essay collection), The Passion by Jeanette Winterson (historical fiction set before 1900), and Wide Sargasso Sea by Jean Rhys (book featuring a main character with a mental illness). My least favorite book of the challenge (because you can’t love everything, unfortunately) was Harry Potter and the Cursed Child (play), which was basically just a huge disappointment. It’s probably my own fault for not branching out more with that challenge task. ✓ 4. Read a book out loud to someone else – I actually don’t know the name of the picture book I read out loud to my baby cousin. It was about a fancy dog who goes to visit a farm. That’s all I remember! Now that I’ve finished the 2016 challenge, I’ve started looking ahead to the 2017 Read Harder Challenge, which looks really interesting. Several of the tasks are pretty specific, but the Goodreads group has been a really helpful resource for finding ideas for each task, so I’m not too concerned. I’ve generally been able to complete the majority of the tasks without really trying to because I tend to read a pretty good variety of books; this year, though, it may not be so easy. But that’s why it’s called a challenge! Did anyone else participate in the 2016 challenge, or are you thinking about joining in 2017? Let me know! For more info, check out the link above! In general, I always like to do some Halloween-themed reading during the fall, which to me usually means horror or dark SFF (last October I read Stephen King’s Doctor Sleep, Doomsday Book by Connie Willis, and The Winter Long by Seanan McGuire), so this challenge feels perfect for me. I also have a bunch of books on my TBR that seem like they would fit really well into these categories. I’m planning on participating in two of the perils, but I hope to read even more books in these genres if possible–it’s just more fun to read this type of book in the fall 🙂 This will be my first time participating in the challenge. For this peril, you need to read four books from any of the six suggested categories (Mystery, Suspense, Thriller, Gothic, Horror, or Dark Fantasy). There are so many awesome-sounding books on my TBR that would work for this peril; the only problem will be picking which ones! Some of these are on my physical TBR shelf and some I might try to get from my library, depending on how things go. I’m probably most excited about finally reading The Vegetarian by Han Kang, which I’ve heard so much talk about, and Deathless by Catherynne M. Valente, an author I’ve yet to try but think I’ll love. For this peril, all you need to do is read a short story that fits one of the above categories. I love short stories, so this peril is perfect for me; Kelly Link’s blend of horror and fantasy in particular fits in really nicely, and I also have Margaret Atwood’s short story collection on my TBR. I also think that Alyssa Wong’s Hungry Daughters of Starving Mothers sounds really intriguing after hearing about it on Bina’s blog post about horror and women of color. Sharlene at Real Life Reading also posted a lot of great diverse suggestions for the RIP challenge. Who else is participating in this challenge? Let me know and feel free to link me to your post! 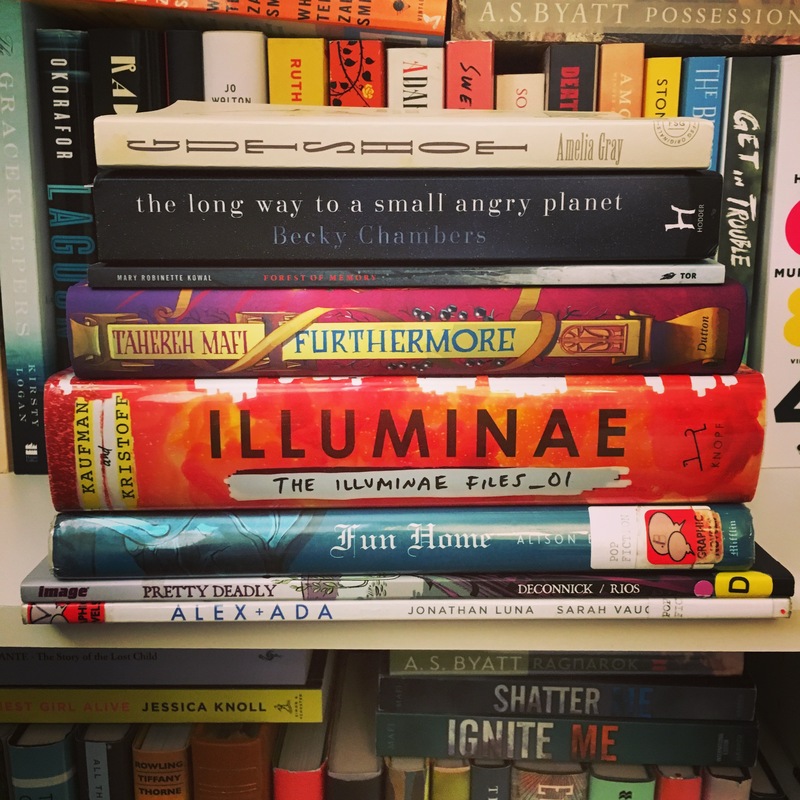 Bout of Books Sign-Up and TBR! I’ve become a big fan of readathons, especially low-pressure ones; it’s a great way for me to devote more time to my TBR and get inspired by all of the wonderful bookish things on social media. This will be my third time doing Bout of Books (here are links to my first and second times doing the challenge) and I’m excited for a reading-focused week. Work has been super stressful lately, so I think focusing on bookishness will be a perfect antidote. I’m in the middle of two books right now; one of them (Nobody is Ever Missing by Catherine Lacey) I don’t think I’ll read during Bout of Books; I’ve been using it as a right-before-bed book and prefer to keep it that way. I might read some of The Story of the Lost Child, my other current read, during the readathon, but I also feel like it might work better to save it for afterwards; I tend to prefer shorter, quicker reads during challenges. For that reason, I picked out a good variety of books that I’d like to get to this week: a short collection of poetry (Love Poems by Pablo Neruda), a graphic memoir focusing on sharks (Everything is Teeth by Evie Wyld), a fantasy ebook short story (The Bone Knife by Intisar Khanani), a YA fantasy with a love triangle and alleged references to Greek mythology (Everneath by Brodi Ashton), a short dystopian science fiction novel (Elect Mr. Robinson for a Better World by Donald Antrim), a collection of slipstream short stories (Pretty Monsters by Kelly Link), and a long-awaited fantasy sequel novel (The Obelisk Gate by N.K. Jemisin). I also like to have an audiobook option for readathons, and right now I’m in the middle of The Underground Girls of Kabul (so far it’s so interesting and very well-written). I’m anticipating finishing it this week, in which case I’ll pick up Luckiest Girl Alive, which just became available from my library. I own a physical copy of this book too, but I feel like the fast-paced plot would be good on audio. Who else is participating in Bout of Books?? Feel free to link me to your sign-up posts! I haven’t done much reading during the first week of August, and although I’m planning on participating in Bout of Books (August 22-28) which always re-inspires me to dive into my books, I figured that I’d like to jump-start my reading sooner if possible and join another challenge. So here are 8 books that I’m going to attempt over the next 3 weeks! Lailah by Nikki Kelly – the first book in the Styclar saga! What is Styclar? I guess I’ll find out. I’ve heard so little about this book but it looks like romance-focused, angsty, post-apocalyptic YA. The Story of the Lost Child by Elena Ferrante – I’ll probably be sobbing during this book. I just have a feeling that we’re not in for a happy ending. Plus, just the idea of finishing Ferrante’s gorgeously written quartet makes me sad. Persepolis by Marjane Satrapi – everyone seems to love this graphic novel; I’ve even heard of several colleges assigning it as a freshman read. I’ve seen the movie already but hearing all the hype made me want to pick up the source. Homegoing by Yaa Gyasi – I have yet to read a less than stellar review of this multi-generational saga that follows the descendants of two half-sisters in the U.S. and Africa after they are set on two very different paths. Love Poems by Pablo Neruda – this is sort of cheating, but since Neruda is acclaimed for his romantic poetry, I feel like this collection will work fine for this challenge. 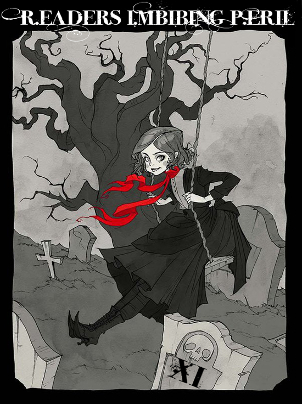 Pretty Monsters by Kelly Link – Kelly Link writes gorgeous fantasy/horror/fairytale/occasionally scifi short stories that I suppose you could categorize as “slipstream,” so this should work perfectly. Afterparty by Daryl Gregory – science fiction involving the widespread use of designer drugs that involves some sort of murder mystery, I think. I’ve read some good reviews and this sounds fast-paced and creative. Elect Mr. Robinson for a Better World by Donald Antrim – this is supposedly creepy post-apocalyptic science fiction set in a small town; it’s also a very short book, which works well for readathons. Let me know if you’re participating, and feel free to link up to your post!